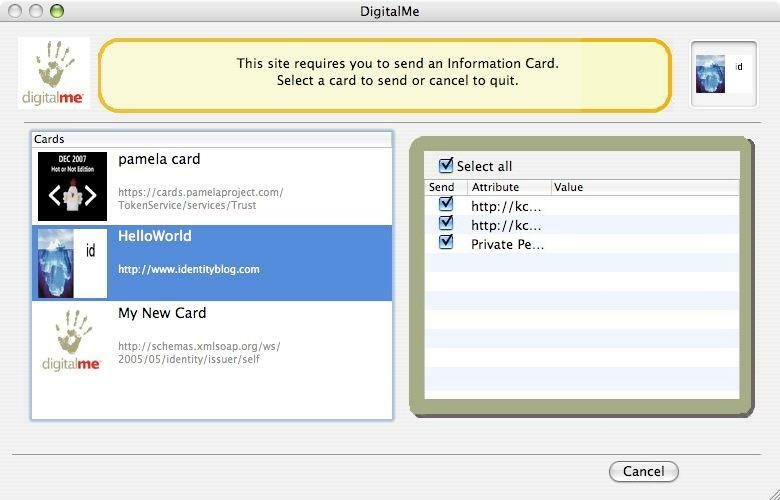 Today Andy Hodgkinson announced a binary release of the DigitalMe Identity Selector for Mac OS X. Now Mac users can use Information Cards with just a drag-and-drop install! This release builds upon the earlier success of their binary release for SuSE Linux. As Andy wrote: “I would encourage anyone interested in using information cards on the Mac to install DigitalMe and the Firefox plug-in.” I’ll second that. Go check it out! Congratulations again to the Bandit team!